What's next for the Dougherty siblings after Colorado arrest? 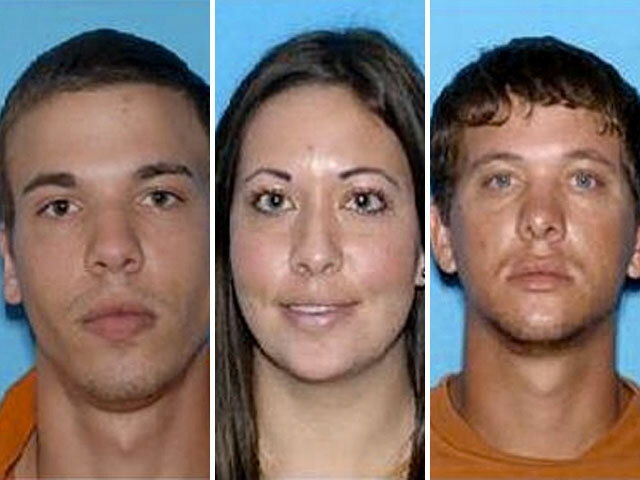 (CBS/WTSP) ZEPHYRHILLS, Fla. - Although police say the Dougherty siblings' cross-country crime spree started in Florida, it's possible the Tampa Bay area will not be their last stop. Prosecutors in Florida, Georgia and Colorado, as well as the U.S. Justice Department, will decide where the trio will get its first day in court. Pasco County Sheriff Chris Nocco told CBS affiliate WTSP that the public should be happy with any of those places. "We can be slow and methodical now," Nocco said. "They have handcuffs on them - the bracelets are there -they're not going anywhere." "The public is not in danger, so we want to make sure that we get convictions out of this. We don't want them to walk out again publicly," he said. Detectives say Ryan, Dylan, and Lee Grace Dougherty fired at officers in Colorado as they tried to get away Wednesday, and police in Colorado want each sibling to face four counts of "first-degree assault on a police officer." Then there are federal bank robbery charges in Georgia. Investigators say the trio fired into the air before they held up a bank in Valdosta. And then there's the showdown that started it all: the siblings are accused of firing around 20 shots at a police officer in Zephyrhills, about 30 miles northeast of Tampa, before launching a high-speed chase.